"I've always wanted to do a show with women of different generations, backgrounds and views..."
That's how Barbara Walters introduced The View in the ABC daytime chatfest's opening sequence for each and every episode of its first season since its debut on the network on August 11, 1997. And her update to the very same sequence a season later? "Be careful what you wish for..."
Though the co-host lineup has repeatedly changed over the course of 22 seasons, one thing has remained the same. And that's that Walters' creation is ripe not only for insightful conversation, but down-and-dirty screaming matches, too. The latest? 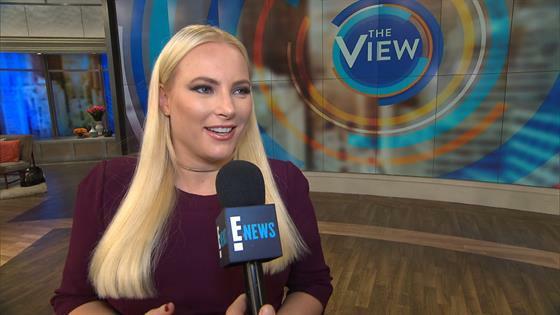 A tense exchange between Joy Behar and Meghan McCain during a conversation regarding Senator Amy Klobuchar's presidential campaign announcement as things turned, as is their wont on the show, political and petty. It wasn't the first time those two particular co-workers have stopped being polite and started getting real with one another. And it likely won't be the last. But it almost pales in comparison to some of the messy moments that have come before them. Take a walk down memory lane with our definitive guide to The View's most dramatic moments!